AKIPRESS.COM - Back in 2013, legendary Japanese animator and director Hayao Miyazaki announced he would be retiring; making no more feature-length films in order to concentrate on smaller projects. 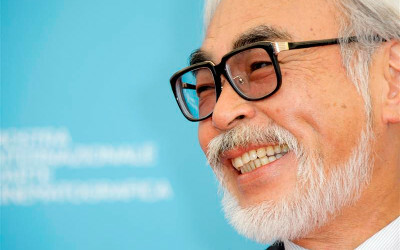 Well, it turns out you can’t keep a good Oscar-winning artist down, and Miyazaki says he’s now coming out of retirement to make one last movie, according to The Verge. The news was reportedly dropped into a Japanese TV special broadcast over the weekend. Appropriately enough, it was titled Hayao Miyazaki: The Man Who Is Not Done. In it, Miyazaki revealed that he’d been dissatisfied with a recent 12-minute CG short film he’d been working on – Kemushi no Boro or Boro the Caterpillar – and instead wants to turn it into a full-length film. Although the special did not show Miyazaki getting a green light from studio bosses, he is seen starting work on animation for the project. Boro the Caterpillar was originally being created for the Ghibli Museum, which opened in Tokyo in 2001 and showcases artifacts from Studio Ghibli, which Miyazaki co-founded. The studio’s many films include Castle in the Sky, My Neighbor Totoro, Spirited Away, and Howl's Moving Castle. Miyazaki has apparently been developing the story of Boro the Caterpillar for some 20 years. During the special, Miyazaki said the film was the "story of a tiny, hairy caterpillar, so tiny that it may be easily squished between your fingers." He noted that he might be 80 years old by the time it's finished (he's 75 now), but with his ideal timetable, the film will be done before the 2020 Olympics in Tokyo.